Pulse is the UK's most exclusive and trend-led event for new product, brand launches and retail inspiration across living,fashion accessories and gift. 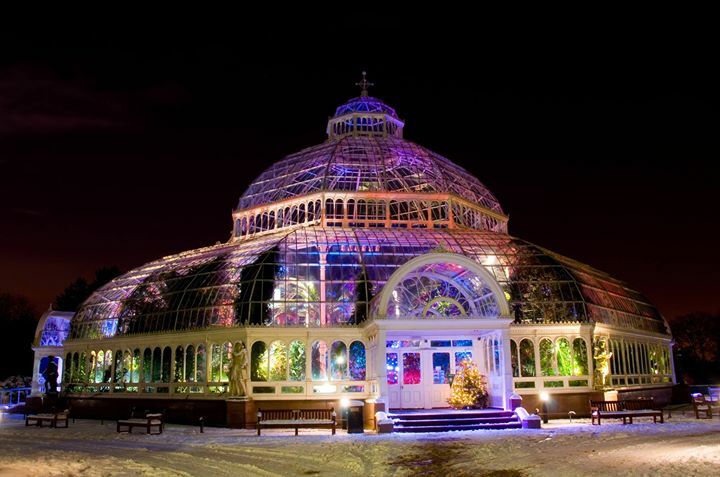 We are thrilled to be back in Liverpool in the STUNNING Palm house, 14th - 15th April. Spring Home, Food and Gift Market, Derby. We are delighted to be taking part in the Fabulous Places event in Derby, at the wonderful Roundhouse! The Roundhouse is conveniently located next door to Derby Train Station… travel by train and enjoy a glass of something sparkling in the Prosecco Bar! The Spring Home, Food & Gift Market is a handpicked shopping event focusing on delicious food, gorgeous gifts and accessories for the home and garden, jewellery, handmade products and much more all in a stunning venue. With over 100 exhibitors, all hand selected by me, the Spring Market will be a fabulous day out. This festive Christmas fair takes place at the beautiful Wentworth Woodhouse, in the village of Wentworth, Rotherham on Saturday 9th & Sunday 10th of December. You’ll find over 120 stalls selling amazing gifts, crafts and of course plenty of food and drink! Santa will be in his grotto and his reindeer on the front lawn, making this a magical day out for children! Attractions include Santa’s grotto inside the house, pony rides, live music, fairground rides and games and much more! We’re pleased to showcase some of this talent in our popular Millennium Gallery Craft Market, which promises an inspiring alternative to big high street chains. Choose from original artwork and prints, cards, jewellery, gifts and much more. Fabulous Makers Fair returns to Victoria Hall as part of Saltaire Festival, this year with our first ever Friday evening event, from 4 - 8 pm on 8th September, followed by all day Saturday 9th, 10 am to 5 pm. Once again over 40 top designer-makers from the North and further afield will be filling Victoria Hall with high quality, skilfully handmade contemporary craft and design that you won’t find on the high street. This unique shopping experience will give you the opportunity to chat to the makers themselves, watch demonstrations and feast your eyes on captivating ceramics, irresistible jewellery, sumptuous textiles, masterful original printmaking, and lots more, all of it original in design and construction. This is your chance to browse, buy or even commission something special for yourself or as a gift.